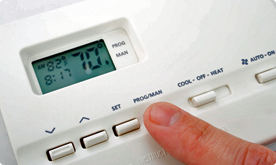 Fred’s heating technicians are experts in all furnace and home heating systems. We install and repair all manufacturer makes and models. 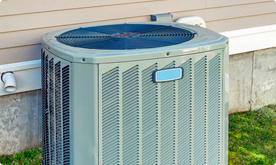 Fred's installs and services all makes and models of home air conditioning units. We’ll get you cool fast during the hot weather. 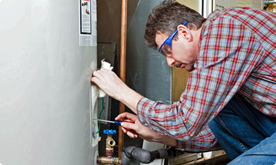 Is your water heater in need of repair, or do you need a new one? Fred's installs A. O. Smith & State water heaters, and repairs all makes and models. NEW INSTALLS: Heating and Air Conditioning is not a "do it yourself" project, you need an expert. Call Fred today to set up an appointment for your FREE ESTIMATE. We will help you find the best system for your new home with the best local price. CHANGEOUTS: The average service life of a whole house HVAC unit is 10-14 years. Is your system past its prime? Fred's Heating and Air Conditioning is your local heating and cooling expert that evaluate your heating & cooling needs with a free in-home consultation. He can help you plan what's best for keeping you warm and cool all year long. We'll inspect and maintain your air conditioning unit to make sure your cooling system is ready for the hot days of summer. We'll inspect your furnace and vent to make sure your system is running properly to handle the cold days of winter. Fred Burke is a licensed contractor who has proudly been serving the Bryon, Durand, Fenton, Holly, Linden, and Swartz Creek communities for over 35 years. Providing you with quality and experience you would expect in repairing, installing your heating and cooling system. Whether new construction or residential upgrade, repair or replacement, Fred’s Heating and Air Conditioning is your trusted local specialist. We service all major brands including Payne, Bryant, Carrier, Trane, Whirlpool and many more. Products that work as hard as you. When you’re looking for affordable home comfort products you can count on, look no further than Payne. Our full line of heating and cooling products are designed for dependability and we back them with an industry leading 10-year* parts limited warranty. Our air conditioning went out in the summer. Someone came out in a few hours. The Technician was courteous and very professional. He fixed the problem in an hour. Thank you…you are great! All of a sudden our furnace stopped working. Someone come out fast. The problem was fixed in a few hours. Thanks for getting us warm again. The water heater stopped working. Fred suggested a more efficient model. We're very happy and would recommend Fred's to others. 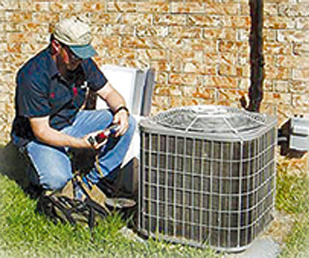 Fred's Heating & Air Conditioning has served the area for over 35 Years. We pride ourselves on reasonable rates!